The rainbow of colors found in the exotic foliage here on Kauai is absolutely amazing. I paint these rainbow bamboos by first painting a rainbow of colors on my watercolor paper. Then I mask off the bamboo with tape and paint the background. Next, I peel off the tape and add the final touches. Fun and easy! 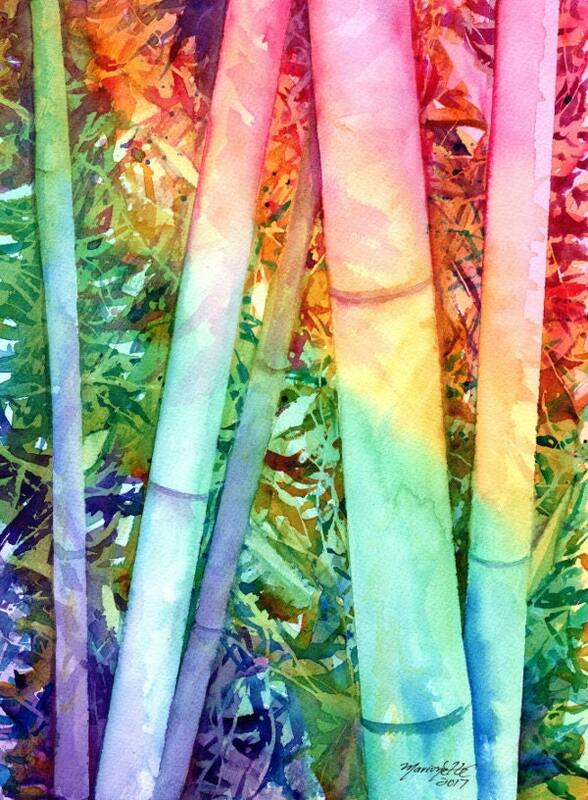 "Colorful Rainbow Bamboo" is an original watercolor painting measuring approximately 9"x12" and comes with a signed "Certificate of Authenticity" and packed in a clear sleeve with a backing board (unframed). Colors may vary slightly from monitor to monitor.